2011 was a very good year for me all in all. In poker, I had my most profitable year so far, and in my personal life I moved to a much nicer house, got married and found out I would become a father for the second time. However I can't help but feel, poker-wise, it could have been even better than it was. Both my results and my volume in the second half of the year were very disappointing, and I am really motivated to make up for that in 2012. This stage was great for me. I was going for SNE and consequently was working very hard. I was doing very well in the games I was playing (almost exclusively 18-mans at this point) so I was being rewarded very nicely for the time I was putting in at the tables. I did allow myself to slip away from SNE pace in February and March, but had accumulated 240,000 VPPs by April 14th so was within reasonable distance to still achieve my year long goal. I can't remember a whole lot else going on at the time, I guess I was just too busy working! Black Friday unfortunately put paid to my Supernova Elite attempts. There were a few days where there was a lot of confusion about what was going on and what was going to happen. I didn't want to work hard for no reason, and the traffic in all the games I was playing died to a point that staying on pace would have been insanely difficult. So after working very hard for the first 14 weeks of the year I essentially took the rest of April off. 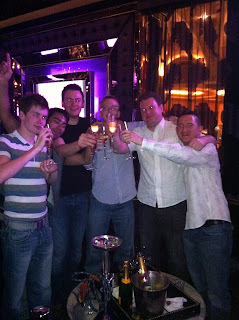 Unfortunately May was hugely disrupted by the changes that PokerStars made to SNGs. They started off with an absolute botch job, but over the next couple of weeks they fixed many of the problems they had created/ Unfortunately in this time they were somewhat insulting in their attempt to pass off a rake increase as a rake decrease, and I further disappointed that they had chosen this direction (increase instead of decrease), especially in games that were already barely beatable. Nevertheless by the end of it all, order was restored, and for me personally, things virtually went back to how they were before the changes, just a little more organised. On the plus side, the games were the softest they had been for a long time in the post Black Friday world, although this didn't last for too long, and games are back to being as tough as ever before now.I'm not sure how related it is to the best American players gradually relocating, but imagine this is a factor. I took it upon myself to have the most ridiculously short trip to Vegas during the World Series of Poker, just 6 days. I really wanted to go, having not been since 2007 and not really enjoying myself then and wanted to do it right. However, I didn't want to leave my then fiancée and son on their own for too long, so this was sort of a compromise. In reality it was too short, I was on my way home before I knew it, but I had a really good time whilst I was there. I only played four poker tourneys, and it would have been nice if I didn't get a ridiculous beat to send me packing in the 1 WSOP event I played, but nevermind. The highlight of the trip was the sickest night out I had after me and Longy, who I was staying with, bumped into lil Dave in the Venetian. We went back with him to his sick pad where he was staying with Stu Rutter and other heroes, and proceeded to have an hilarious night out ending up in Surrender at Encore. My play for the rest of June and July was sporadic at best. I did have fun being a guest analyst on Sky Poker in their live 4-hour show on a Thursday evening. I think I came off pretty well, and I'd say it's quite possibly the first time my parents have been proud of me job-wise. Hopefully I'll get another chance to do that again soon as they have said I'd be very welcome back :). This was undoubtedly the most hectic time of the year for me where I decided to fit two huge life events into little more than a month. Literally the perfect house came up for rent very near where we were living, and we had to go for it. It has a double garage that has been converted into my 'grind-station'. and is just a really nice and big house with plenty of room for our family to expand. It's nice to know we're pretty set-up in this lovely house for the coming years. Unfortunately, it was a rather stressful time, as moving house tends to be. On top of that it took me a ridiculous 6 weeks to get my internet sorted, so that put paid to any chance of me playing poker during this time. Me and Liz got married on the 27th August after being together just shy of 4 years, and having got engaged in December 2009. I really can't envisage the wedding being any better than it was, it was exactly what we both wanted and it was a really special day. 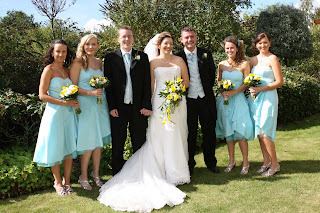 Having complained quite a lot about the expense of "just one day" in the lead up to the wedding, I am so glad that we did it and did it right, it's a day we'll never forget. After the wedding me, my wife and our son, who was just about to turn two, went on a family "not exactly a honeymoon" hoilday to Salou in Spain. We had a really great time to begin with, but unfortunately Clark got tonsillitis 3 days in which kind of ruined the holiday. We actually took him to A&E at midnight because he had such a high fever. I have to say I was impressed with the health care we got, they saw us very quickly and with the help of Google Translate (lol) they diagnosed him and he did get better shortly after we arrived home (standard sods law!). After a long absence to the tables, it seems I was rather rusty upon my return. 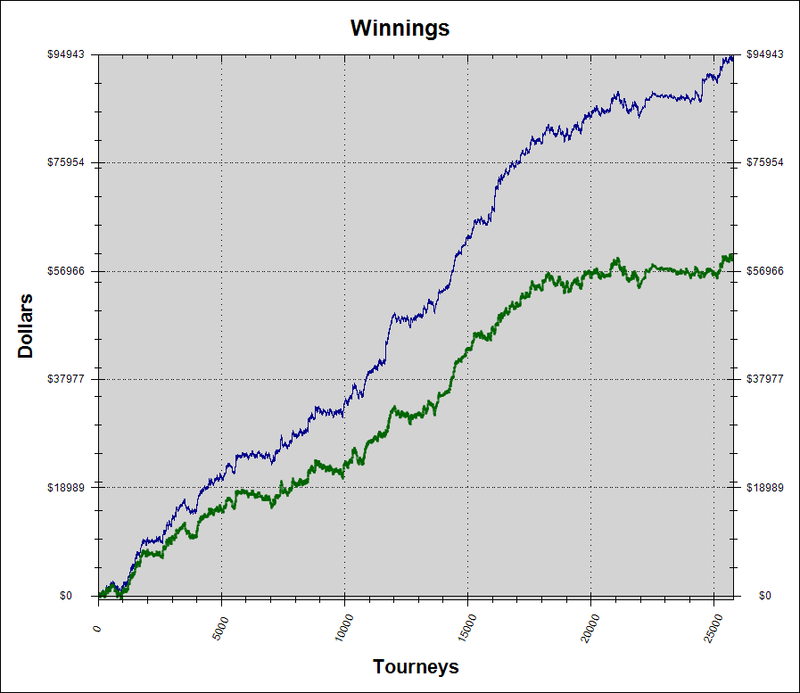 It was my most testing time as a SNG player so far, as I endured something like a 7,000 game run of SNGs where I did little more than break-even. Much of this was attributable to running like death in my higher buy-in SNGs, with my very good return in lower buy-ins doing nothing but cancelling out those losses. The rakeback I accrued just about got me through this period without going completely insane, but being an FPP Pro is definitely not for me if I can avoid it. As I'm sure I've mentioned many times in the past, understanding variance in one of the hardest things I think poker pro's have to combat. It's impossible to know exactly how much of a factor luck plays in your results, not only over the short term but the medium term as well. Trying not to concentrate on short term results is definitely something I intend to work on in 2012. 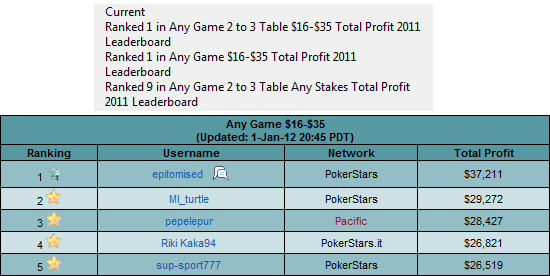 With my plan to go all out for SNE in 2012, I ended up taking a Christmas break a few days early. 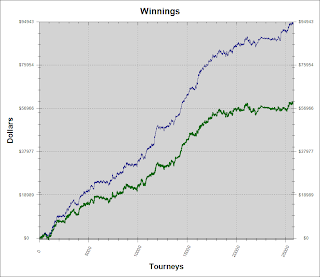 It was good to not be too stressed about poker, and felt like I reset myself which I think is good for my mindset going into 2012. I was able to spend lots of time with my son which was nice. I went to see Liverpool (who I support) win at Villa Park which was cool, and I even saw a second consectuive home Aston Villa game as me and a bunch of other British Poker Pros had our "AGM" in Birmingham, going to watch the evening Villa vs Arsenal match and going out into town afterwards. Needless to say much drunkenness and hilarity ensuing, and it's always nice to meet up with the guys like this and get away from the computer monitors. Christmas was very much a family affair as we pinged between my parents and my wife's parents houses but everything went really well, and Clark got lots of great presents and had lots of fun. Me and my wife went out with 2 of our really good friends who are a couple for New Years Eve for a posh meal and a disco. It was actually the first time both of us had spent the night away from Clark as he stayed at his Grandma's! Aside from the fact we were the only people in the joint under the age of 40, it was a really nice evening, and although going into my SNE pursuit in 2012 with a headache wasn't the best start, it was well worth it. 6 Comments to "2011 in review..."
Congrats sir! Really impressive! Hope you can do even better in 2012! GL! 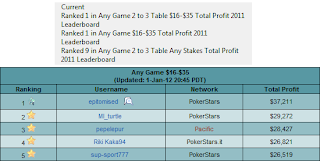 Great year at the tables and sure you will have an even better year in 2012. I have always thought one of the most underrated things for being an online grinder was staying sharp by playing everyday. Tough to take even a short break and just jump back in expecting everything to be exactly the same as before. Thanks Dodi, gl to u also. Hehe yes I had planned that to be the next post :) ... yeah ur def right there's something to be said for Stamina.